Onto wooden skewers, thread salami, cheese, fruit and bread. 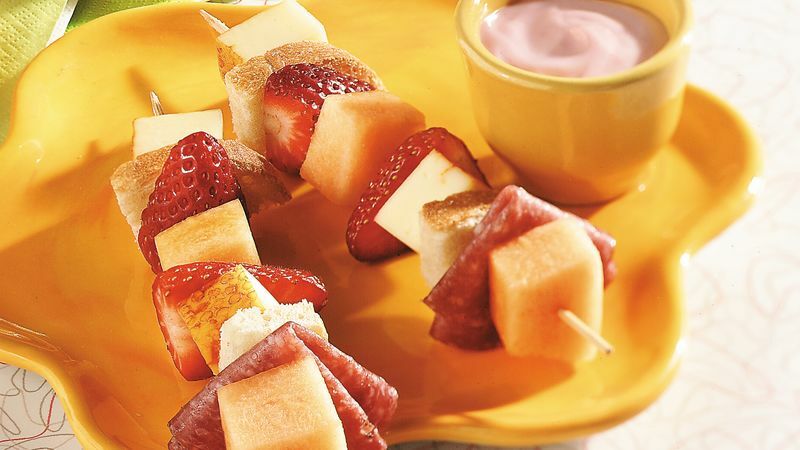 Serve kabobs with yogurt as a dip. Thread the kabobs the night before, leaving a little space between each ingredient. Cover tightly and refrigerate.